Definition (NCI_CTCAE) A disorder characterized by a dysrhythmia with organized rhythmic atrial contractions with a rate of 200-300 beats per minute. The rhythm disturbance originates in the atria. 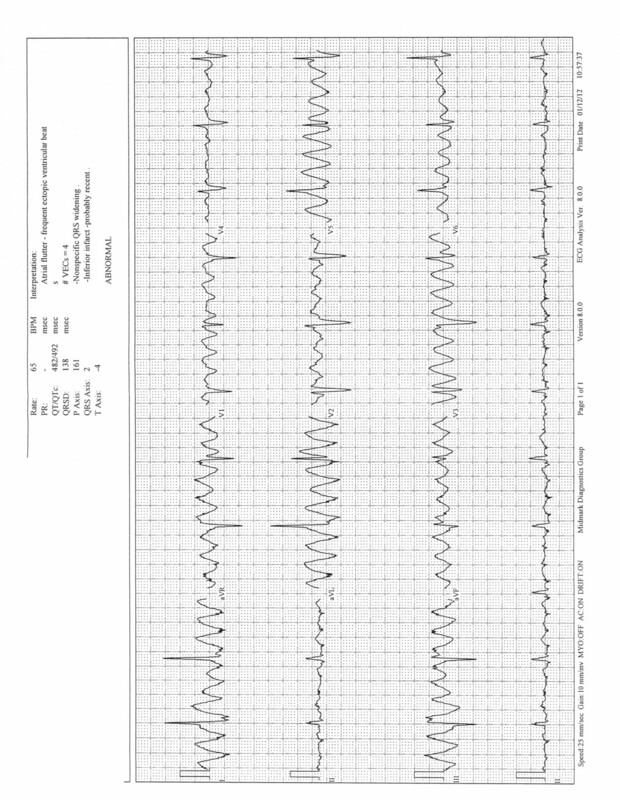 Definition (MSH) Rapid, irregular atrial contractions caused by a block of electrical impulse conduction in the right atrium and a reentrant wave front traveling up the inter-atrial septum and down the right atrial free wall or vice versa. Unlike ATRIAL FIBRILLATION which is caused by abnormal impulse generation, typical atrial flutter is caused by abnormal impulse conduction. As in atrial fibrillation, patients with atrial flutter cannot effectively pump blood into the lower chambers of the heart (HEART VENTRICLES).